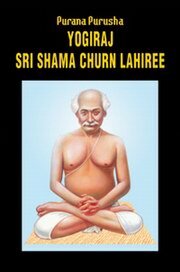 This book is a remarkable blend of literature and philosophy based on the life of Yogiraj Sri Shama Churn Lahiree Mahasaya, Fountain-Head of Kriya yoga.The book is a biography based on the ideals of Yogiraj and tenets of Kriya yoga. The authenticity of this biography lies in the preface where Satyacharan Lahiri Mahasaya grandson of Yogiraj Shama Churn Lahiree Mahasaya, commands his disciples the author, Dr. Ashoke Kumar Chatterjee who was then an elevated Kriyaban having meticulously and assiduously completed the higher stage of Kriyas to write the biography. He had furnished many details regarding his Grandfather Shama Churn Lahiree to the author who has judiciously incorporated these into the book. This book has had a mass appeal throughout India and abroad. This is proved by the fact that this book has been translated and published in Telugu, Oriya, Marathi, Hindi, Gujarati and French. The English version of this book has been published in January 31, 2000. Tamil, Malayalam and Assamese translations are awaiting publication. The French edition of this book was published in France in May 1997. The book ‘Purana Purusha’ is a book of the millenium. One of the best books ever read by me on KriyaYoga.A great book written on the life of the great KriyaYogi - Yogiraj Sri Shamacharan Lahiree Mahashaya, who re-established KriyaYoga in this world after being initiated by Babaji Maharaj.Babaji Maharaj is another spiritual form of Yogiraj himself as the Guru-Sishyo parampara had to maintained. The author of this book is The World KriyaYoga Master - Yogacharya Dr.Ashoke Kumar Chatterjee,a KriyaYogi of the highest echelon.He is the disciple of Shri Satyacharan Lahiree Mahashaya,grandson of Yogiraj Lahiri Mahashaya. The word Kriya Yoga can be divided into two parts: Kriya (means action) and Yoga (means the union of your soul to the divine soul/brahma). Thus, Kriya Yoga refers to that action through which you could merge yourself with the Nischal Brahma. The concept Kriya Yoga found its place in the ancient Patanjal Yoga Sutras and in Srimad Bhagavad-Gita. Kriya Yoga refers to the concept of Dhyana and is NOT a meditation technique as may be propagated by some Schools. In Meditation one concentrates on a specific object whilst in Kriya Yoga you are supposed to unite with Brahma. What is Brahma? Well, one who has not yet united himself with it can hardly describe it. As the shloka goes, Nishalang Brahma Ucchate, which means the state of stillness, is Brahma where no signs of vibration exist. Ages back Babaji-Maharaj taught this Pranali to a householder who later became an eminent self-realized Yogi, Yogiraj Shyama Churn Lahiree, and the one who is responsible for the propagation of Kriya Yoga in this world. One could hardly locate relevant information or a proper photo of Babaji-Maharaj though nowadays some claim to have a meet or two with Him but whether it is for real or if this Babaji is the same age-old Babaji that is NOT certain! Let us not to get into any whirlpool of controversies. Hence, Yogiraj Shyama Churn Lahiree is considered to be the fountainhead of Kriya Yoga. Yogiraj had a couple of distinguished disciples, Sri Panchanan Bhattacharya, founder of Arya Institution in Calcutta, Sri Yukteshwar Giri who was the Guru of Paramhansa Yogananda, Sri Bhupendranath Sanyal, Sri Palodhi Mahashaya, Sri Tinkori Lahiree (elder son of Yogiraj), Sri Dukori Lahiree (younger son of Yogiraj) to name a few. It was Sri Paramhansa Yogananda and His Autobiography of Yogi, which made the name of Yogiraj Shyama Churn Lahiree familiar with the world-population. Yogiraj used to pen down His thoughts and yogic realizations in the confidential diaries, which were kept confidential till some time ago! Had those diaries been kept in dark, we would not have understood Yogiraj Shyama Churn Lahiree to the full extent. Full credit goes to Sri Satya Charan Lahiree (Grandson of Yogiraj) and Yogacharya Sri Ashoke Kumar Chatterjee (the chief disciple of Sri Satya Charan Lahiree) to bring out the hidden treasures! With the advent of the holy book “Purana Purusha Yogiraj Shyama Churn Lahiree”, we could get to see & understand the realizations & findings of Yogiraj. This is the reason Purana Purusha is a must-read to all aspirants who wish to get accustomed with the nuances of Kriya Yoga Sadhana. This Sadhana (…Raj-vidya Raj-guchhyam Pavitramidamuttamam…) can only be learnt from a Guru since this is Raj-vidya (means supreme science & Raj-guchhyam (means extremely confidential). Hence, we cannot possibly think of a manual or an online protocol depicting the procedure of Kriya Yoga, as Guru-tatwa is one of the finest & essential concepts, which is to be understood to succeed in Spiritual path.Yes, our beloved Gurudeva, Yogacharya Sri Ashoke Kumar Chatterjee himself enjoys an excellent Guru-Shishya lineage. He received His First Kriya initiation from Sri Annada Charan Shastri Mahashaya who is one of the distinguished disciples of Sri Panchanan Bhattacharya, a direct disciple of Yogiraj Shyama Churn Lahiree Baba. Yogacharya Chatterjee received His Second Kriya initiation from Sri Sunder Lal Lala-ji, one of the eminent disciples of Sri Hari Narayan Palodhi Mahashaya, a direct disciple of Lahiree Baba. Whilst Yogacharya Chatterjee received His Third, Fourth, Fifth & Sixth Kriya initiation from Sri Satya Charan Lahiree Mahashaya, Grandson of Lahiree Baba. We have our divine Temple located at Kakdwip, West Bengal named Yogiraj Shyamacharan Sanatan Mission. Please visit www.yogirajshyamacharan.com for further details. Yogacharya Dr. Asoke Kumar Chatterjee A Brief History : ..